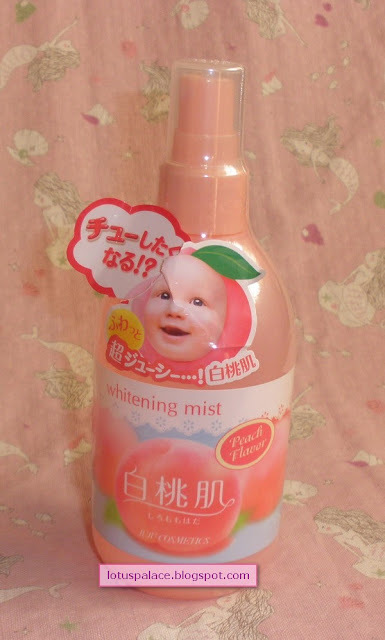 I think you are a mind reader : O I was just browsing this product today and was looking around for a review. 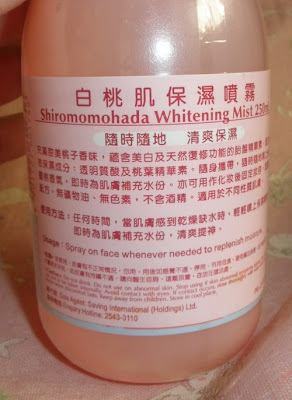 I'm very skeptical about 'whitening' products >.< but I like the idea of this! I think i can't get it in my country. 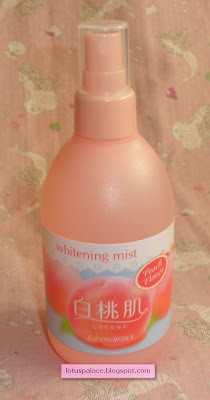 I love facial mist sprays & peach scents, so I'll look into trying this and Sana Hadanomy Collagen one too, hehe. Thanks for sharing! Looks great! I find Asian products so interesting, many have baby themes, looks so cute and sweet. I will try it when I get an opportunity. 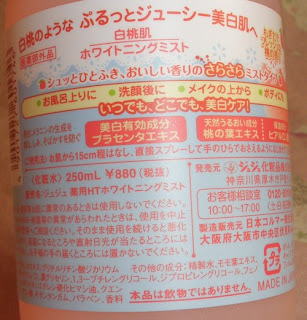 haha, this looks like Japanese Sake I bought.